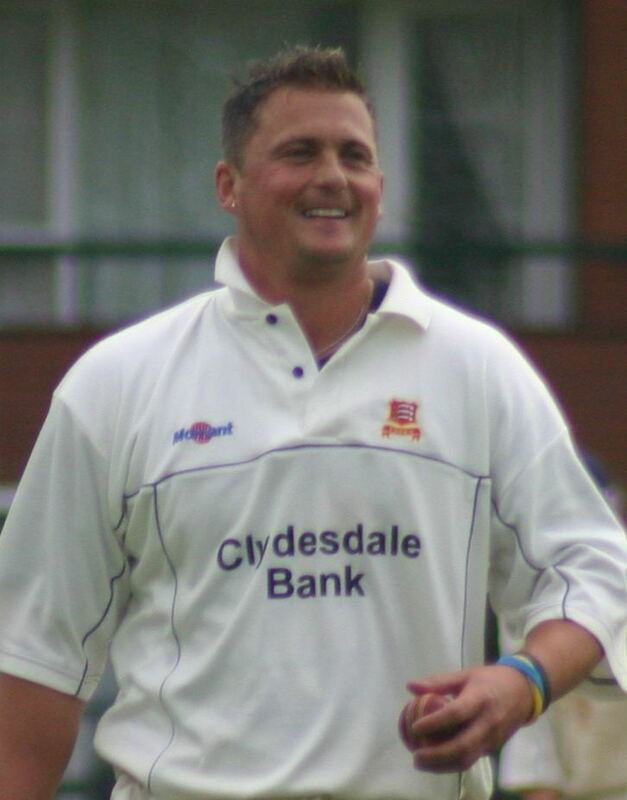 Darren Gough (born 18 September 1970) is a retired English cricketer and former captain of Yorkshire County Cricket Club. The spearhead of Englands bowling attack through much of the 1990s, he is Englands second highest wicket-taker in one-day internationals with 234, and took 229 wickets in his 58 Test matches, making him Englands ninth most successful wicket-taker. Gough was a right arm fast bowler and right-handed batsman. 1.80 m (5 11") and broad in beam, he achieved his pace from a good approach to the wicket and a leaping sideways-on action, achieving what was often described as "skiddy" fast bowling. Capable of swinging the ball late, a large number of his wickets were gained through LBW or bowled, often with the inswinging yorker delivery. Gough retired at the end of the 2008 cricket season with Justin Langer as his final first-class wicket. 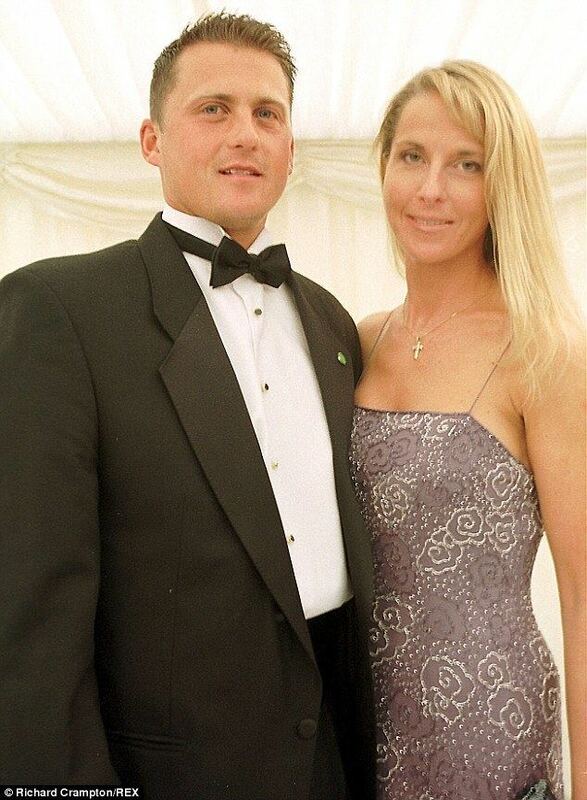 Justin commented in his BBC column that "Darren Gough will retire as one of the most respected and admired cricketers of our generation." also noting that Gough had commented to Langer after his final match "I am happy to finish with an Aussie in my pocket.". Gough retired on a high being regarded as a model professional in the game and a Yorkshire legend. He was first selected for the England cricket team in 1994, playing both Test and One Day International cricket. Four first-innings wickets and an innings of 65 on Test debut showed his potential, and the media, as is usual with practically any aggressive England all-rounder, quickly dubbed him the "new Botham". Like most such pretenders to that throne, he did not fully ascend to such lofty heights: his batting fell away, and he eventually averaged only 12 with the bat in Tests. Nonetheless, his continued presence in the England team became a vital one in both personality and play. Memorable highlights of his Test career included taking the 23rd hat-trick in Test cricket against Australia at Sydney in 1999. His only first-class century came against Warwickshire in 1996 at Headingley. He retired from Test cricket in 2003 after a knee injury threatened to end his career, having taken 229 wickets with a bowling average of 28.39. He has continued playing one-day international cricket, and became the first Englishman to take 200 wickets in one-day cricket in September 2004. In January 2005, he played for the World XI in the World Cricket Tsunami Appeal one-day international versus the Asian XI. He played county cricket for Yorkshire for 15 years before moving to Essex in 2004 due mainly to family reasons. He returned to Yorkshire for the 2007 season as their captain stating "They know Ill run through brick walls for Yorkshire. Ive come home". He joined Matthew Hoggard in a seemingly formidable Yorkshire attack. His reign as captain of Yorkshire got off to a flier. His opening five games saw three convincing Championship wins (versus Surrey, Durham and Worcestershire) and two one-day victories (versus Notts and Scotland). Darren and his wife Anna divorced in 2002, after 8 years of marriage but are now reconciled (Daily Telegraph 21 May 2009). They have two sons, Liam and Brennan. He served as the captain on one of the teams on the UK version of Hole in the Wall on the first series of the programme and as a captain of one of the teams in the third episode and the final of Sing If You Can. Gough now appears on Talksport, co-presenting the weekday afternoon drivetime show with Adrian Durham. His first show was broadcast on 20 March 2009. He was Kevin Pietersens best man at his wedding. He supports Barnsley F.C. in the Championship. Gough is close friends with fellow Yorkshireman (and Barnsley boy) former England and Sheffield Wednesday striker David Hirst. This was confirmed by Gough on Talksports afternoon Drivetime show on Wednesday 27 March 2013.